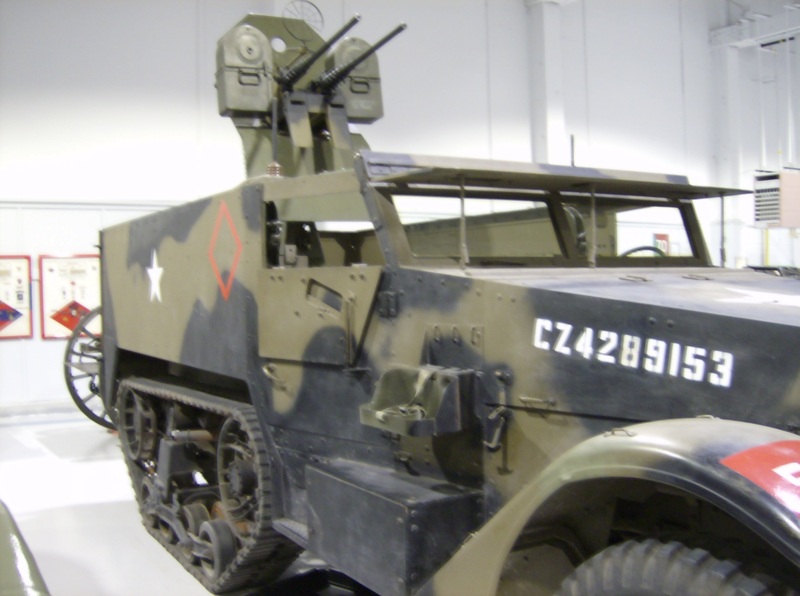 In Part One of this series, I spoke about the Base Borden Military Museum’s awesome array of military vehicles- well, now it’s time to talk about its firearms! 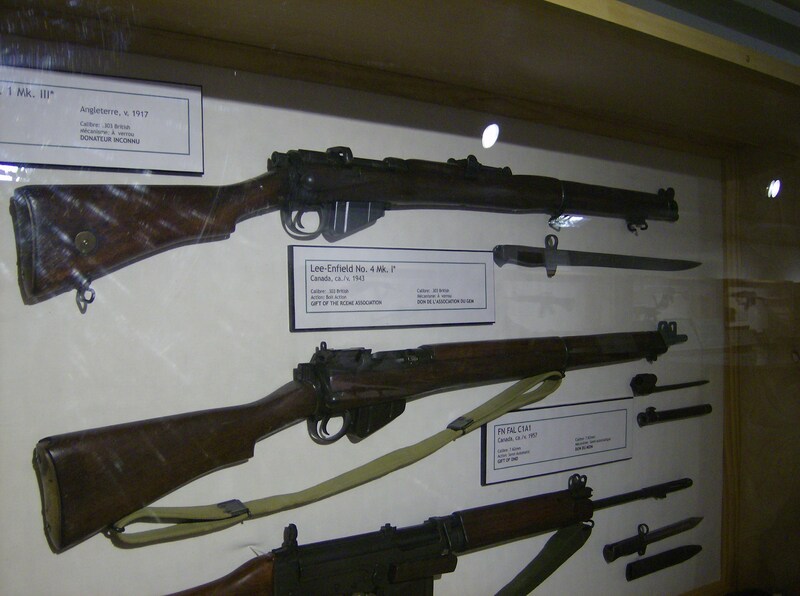 When I go to a military museum, I expect to see a few cabinets of guns; perhaps containing the standard-issue WWII firearms and one or two unique weapons pertaining to the museum’s focus. 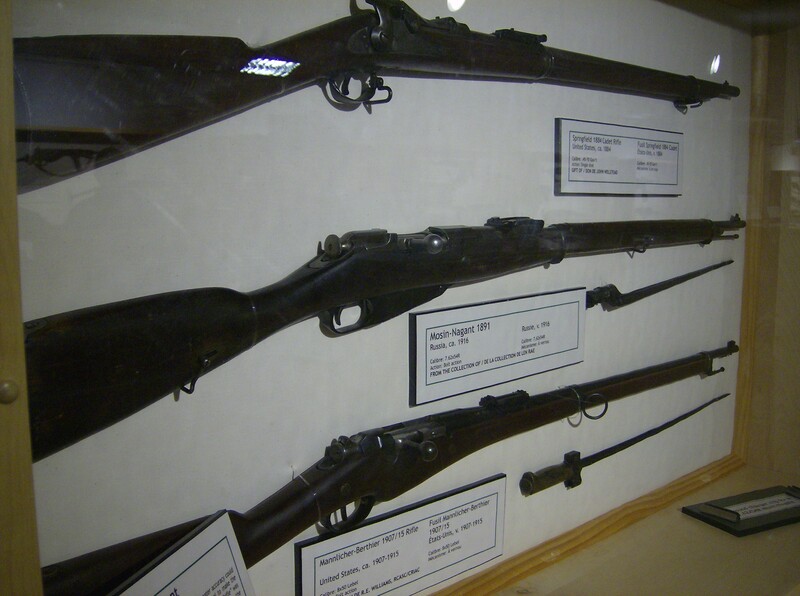 I was certainly not expecting a room full of firearms, especially not at an obscure local museum like Borden’s- but that’s exactly what I found! 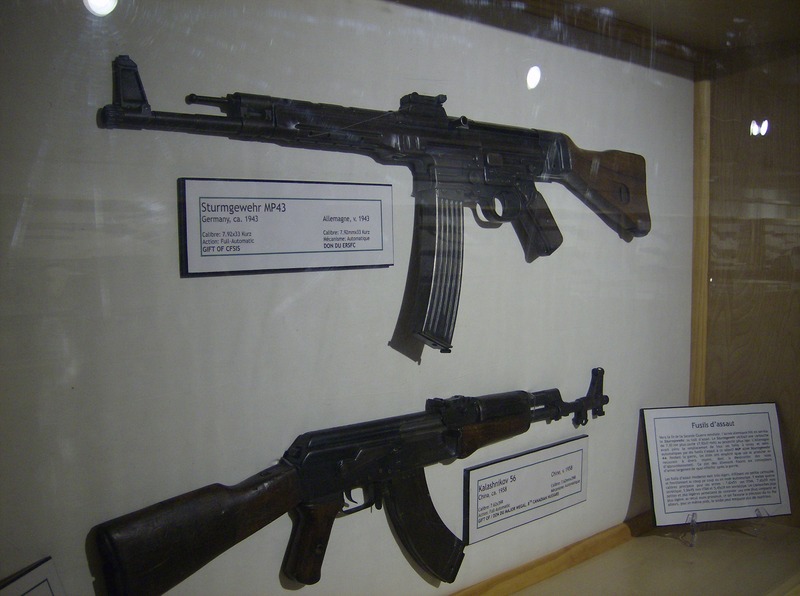 I stepped into the room and was suddenly facing an StG 44 and a Chinese variant of the AK-47! “Delight” is not a strong enough description of my mood after that. The room had about 20 or 30 cabinets in it, and every one of them held something different. I had such a fabulous time browsing this room that my camera batteries were dead before I was even finished, and I think my museum companions were rather laughing at my enthusiasm. 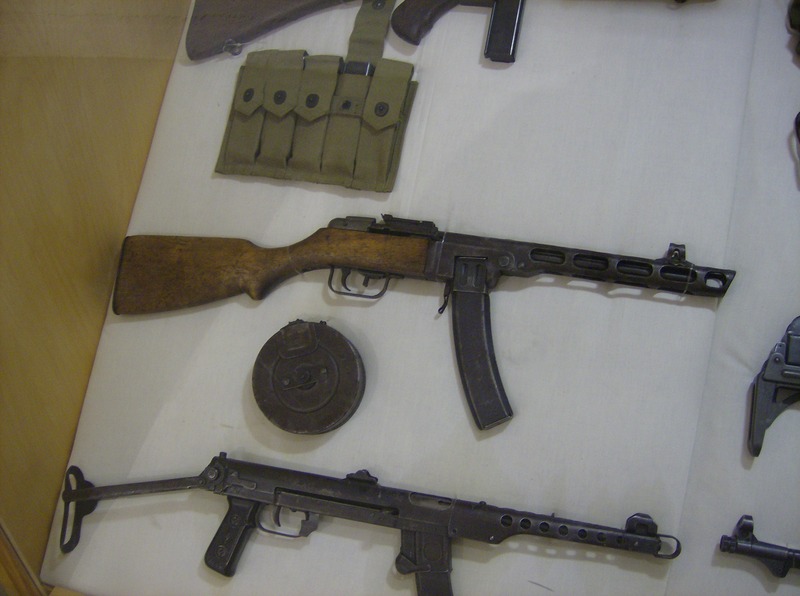 But who cares- guns like MP40s and Dragunov sniper rifles aren’t exactly common in this part of the world! Because Canada is a country where all fully automatic firearms (submachine guns, machine guns, and assault and battle rifles) are completely illegal for civilians to possess, it was awesome to see a large number of automatic weapons at Borden. 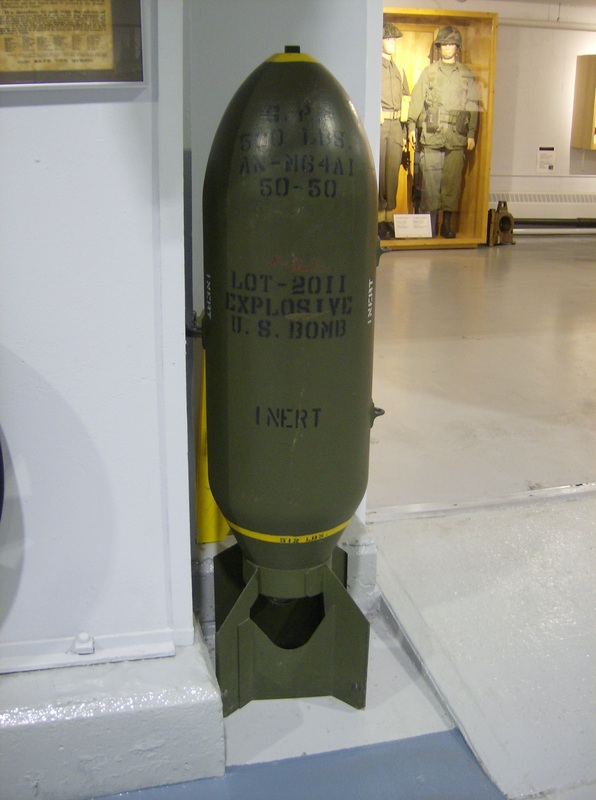 One of the most impressive specimens was a 50 cal heavy MG from an F-86 Sabre. Because of my interest in the Eastern Front and Russian culture, I was extra thrilled to see no shortage of Russian and Soviet weapons as well! 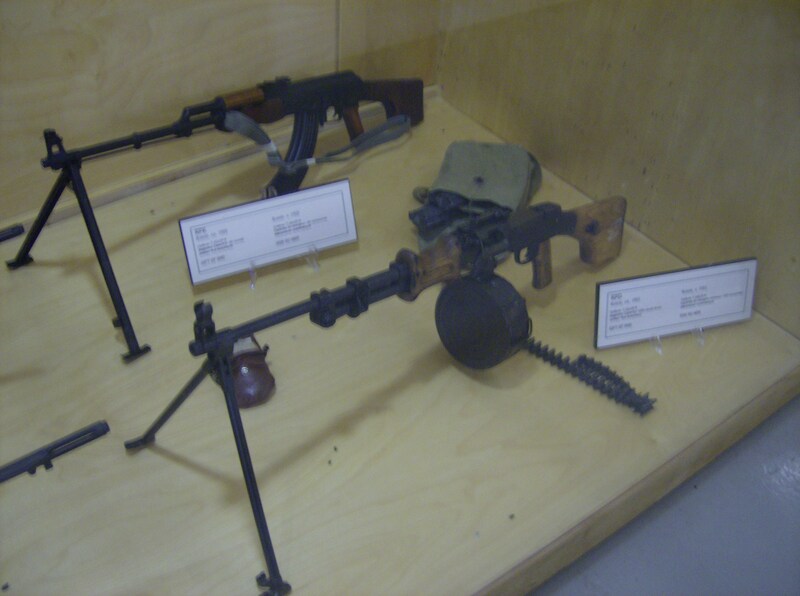 The museum had a PPSh-41 and a PPS-43, two weapons which were very important to the Soviet Army during WWII. Designed by Dmitry Shpagin, the PPSh-41 was created with economy and efficiency in mind- the design utilized stamped metal which cut down on the need for skilled workers. 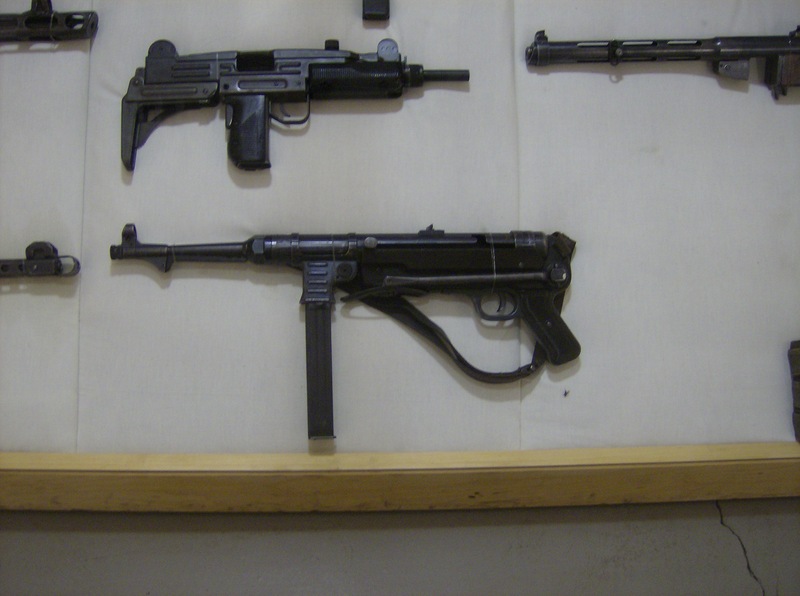 The PPS-43 came later but with the same requirements, and both designs were fielded in the millions by the Soviet Army. 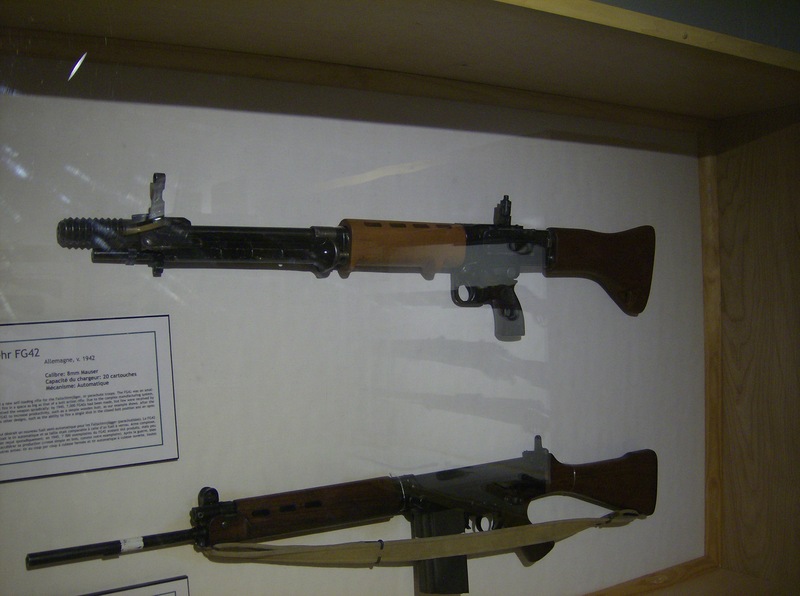 Despite foreign weapons like the PPSh-41, the museum did seem to (understandably) have a focus on guns used by Canada throughout its military history. 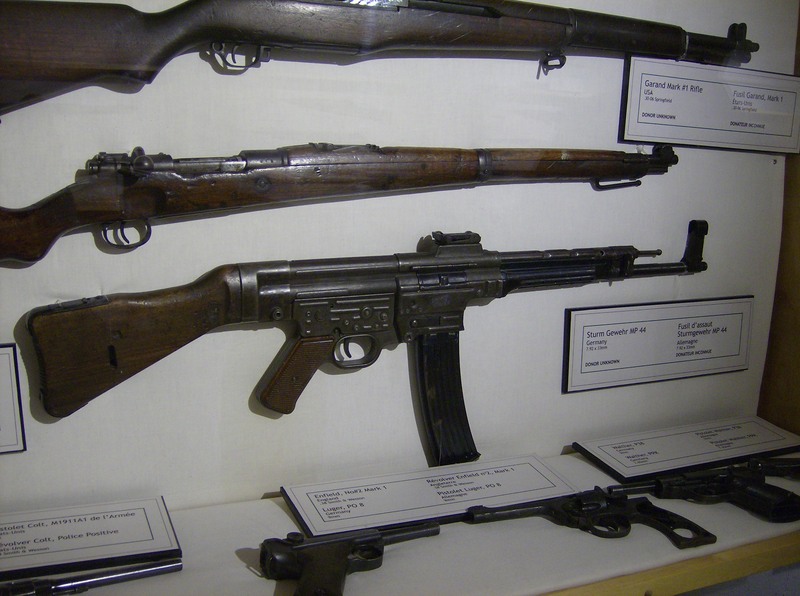 There were several Sten guns, lots of Lee-Enfields, a collection of Bren guns, and an amazing number of licensed Canadian FN FAL variants. 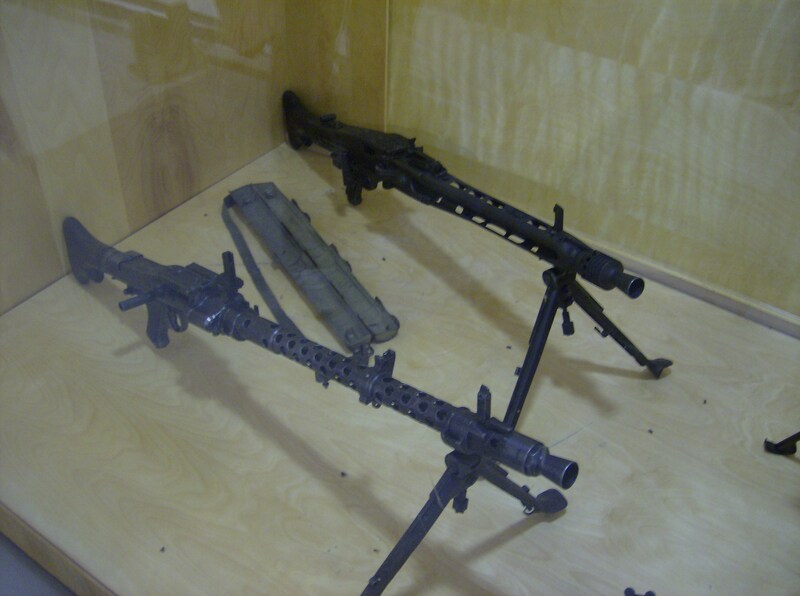 I had no idea that Canada ever used the FN FAL- but apparently, it was used extensively. World War II was nowhere near the most distant era represented here, however. 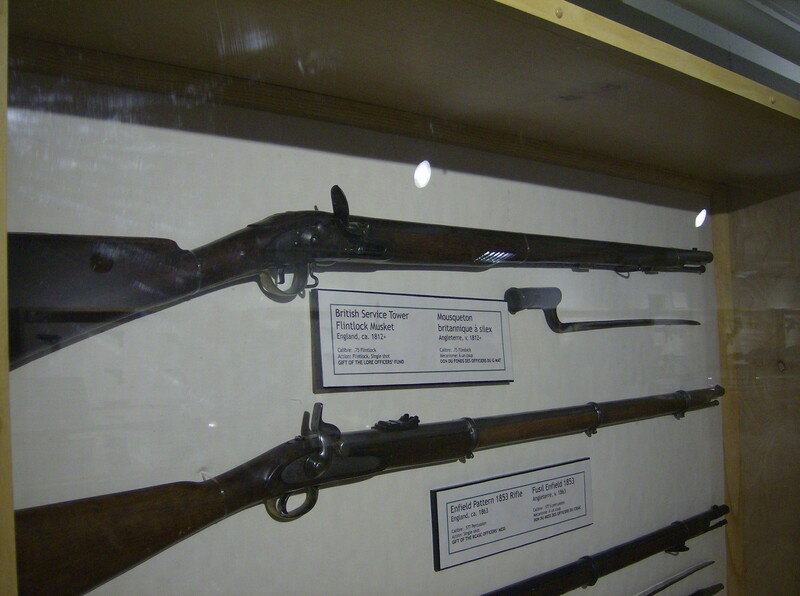 One case contained three muzzleloaders, which were the norm until roughly the mid-19th century. 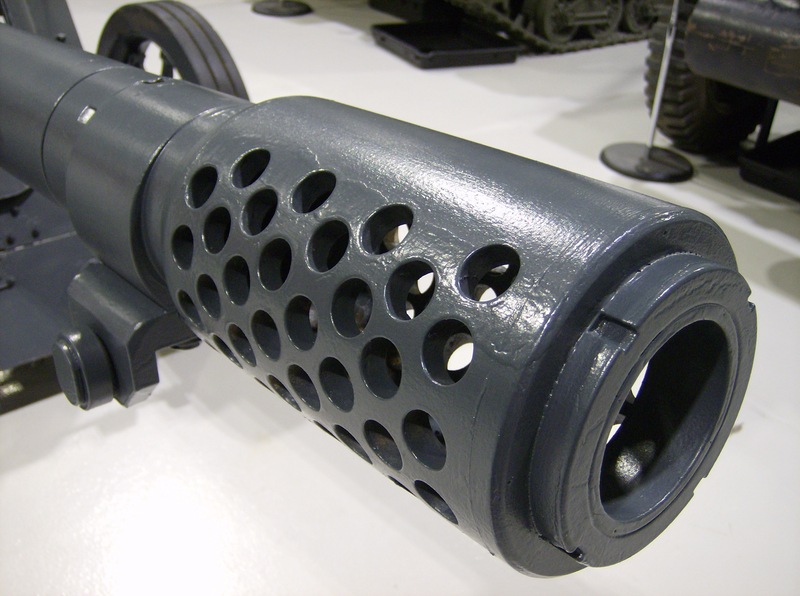 Muzzleloaders were inaccurate, unreliable, and a real pain, I would imagine- instead of simply loading a cartridge into the breech or a magazine into the gun, the shooter had to pour black powder into the barrel, before also seating a wad and projectile inside! Obviously, the propagation of cased ammunition and breech-loading firearms has done wonders for military efficiency! I’m very interested in muzzleloaders, but there remained something that was awesome enough to tear me away from Borden’s muzzleloaders. And that was the presence of more Soviet firearms! 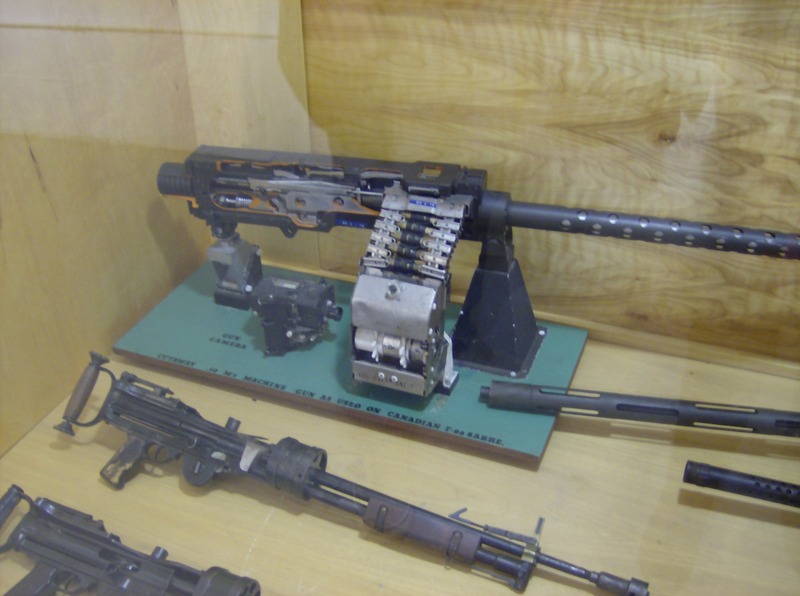 I first knew the RPK machine gun (at back) from Call of Duty: Black Ops. I can’t believe that now I’ve seen one in real life! This room of wonders was really characterized by things I never dreamed I’d see! 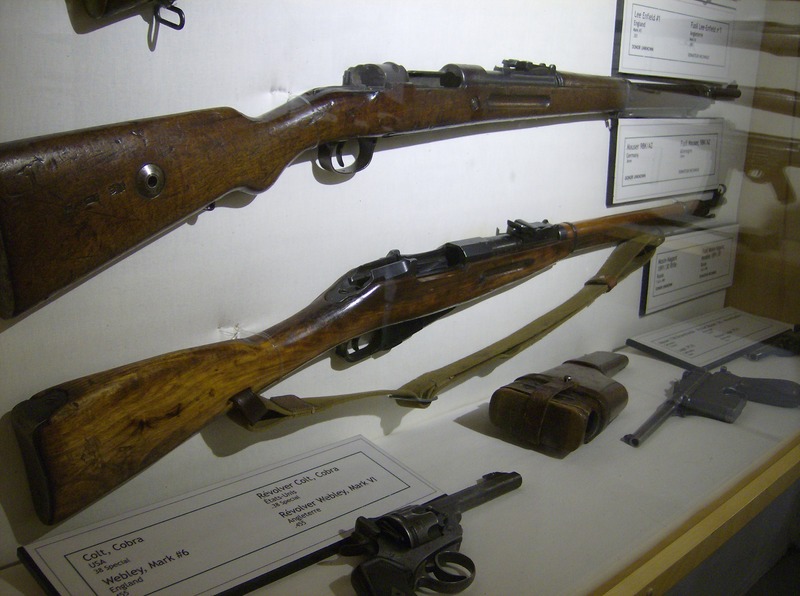 Whether from Soviet Russia, dear old England, or Nazi Germany, the guns displayed by the Borden museum were fantastic to my eyes. 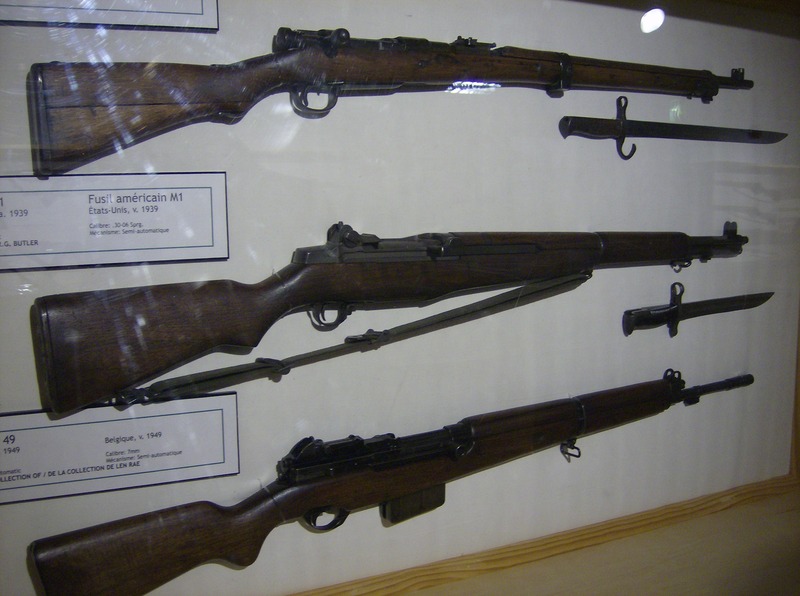 …such as the Karabiner 98K, seen here at bottom. One of the last things I saw was a particularly pleasant surprise, because it is a gun featured in my upcoming novel! The Luger pistol is a well-known symbol of Nazi Germany, and it is also a symbol of one of my novel’s main characters. Since I wrote it, I’ve become pretty fond of my novel, so it was exciting to see something that reminded me of it! 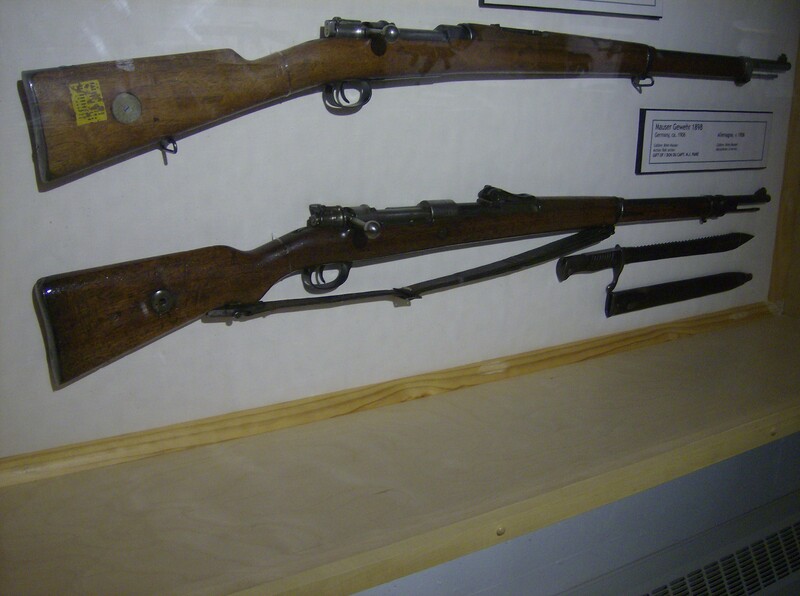 The final thrill for me was a series of Mosin rifles. 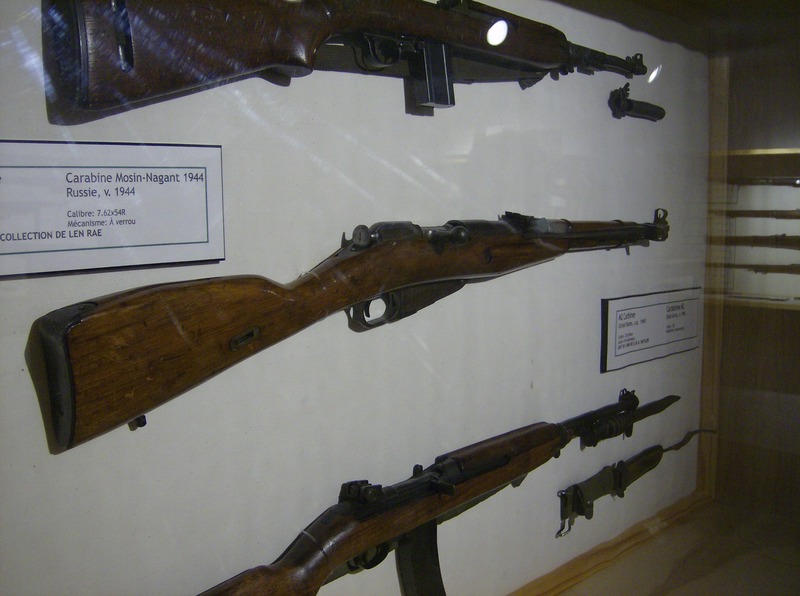 The Mosin is also featured in my novel (after all, it was standard-issue for Soviet riflemen in WWII), and it has to be my favourite gun of all time. 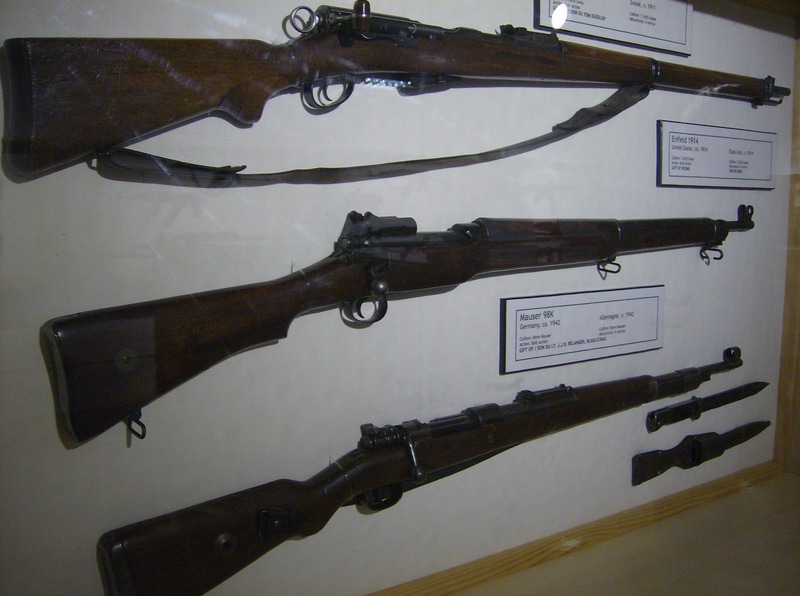 To me, the Mosin is a legend; it was reliable and sturdy in the terrible conditions of the Eastern Front, and it was used successfully by both normal riflemen and snipers like Vasily Zaitsev and Rosa Shanina. I love its simplicity and its track record; and I see it as a symbol of the tenacity and ultimate triumph of Red Army soldiers in WWII. 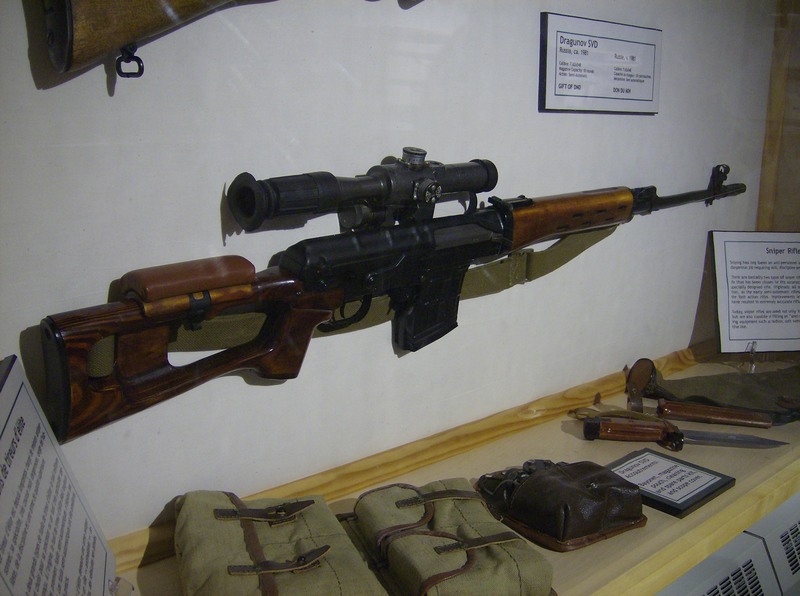 The Mosin is a big, wooden bolt-action rifle; and it has a 5-round magazine and (except in the sniper variant) a simple rear ladder sight with front post. The round used is the 7.62 x 54R cartridge, which is a powerful cartridge similar to the .308 Winchester; and it delivers lots of noise and decent recoil! This cartridge has been in service since the Mosin’s 1891 introduction, and remains in use with guns like the aforementioned Dragunov. 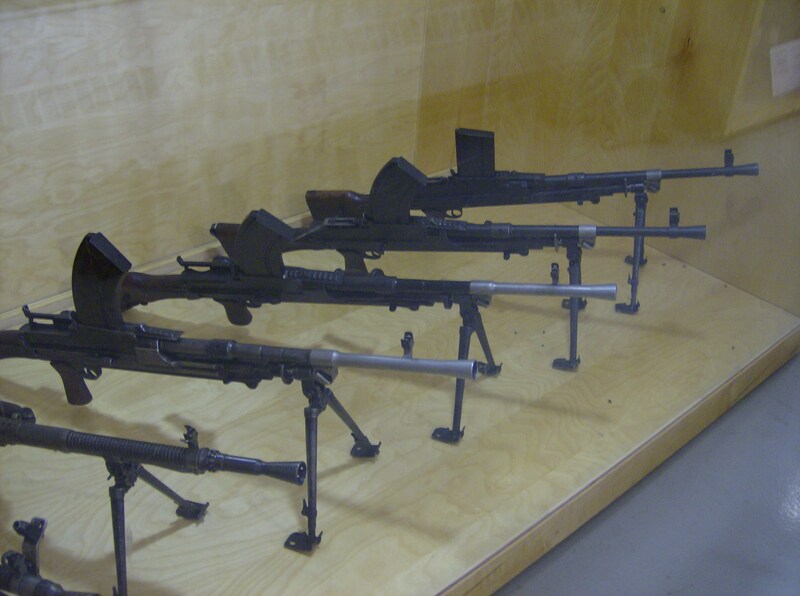 My camera batteries, thankfully, delayed their demise until after I’d taken pictures of these three beautiful Mosins! Although there was still one half of the museum left to tour, I didn’t mind that I wouldn’t be able to take any more photos- after all, a room full of historic guns is a worthy thing to use up battery life on! 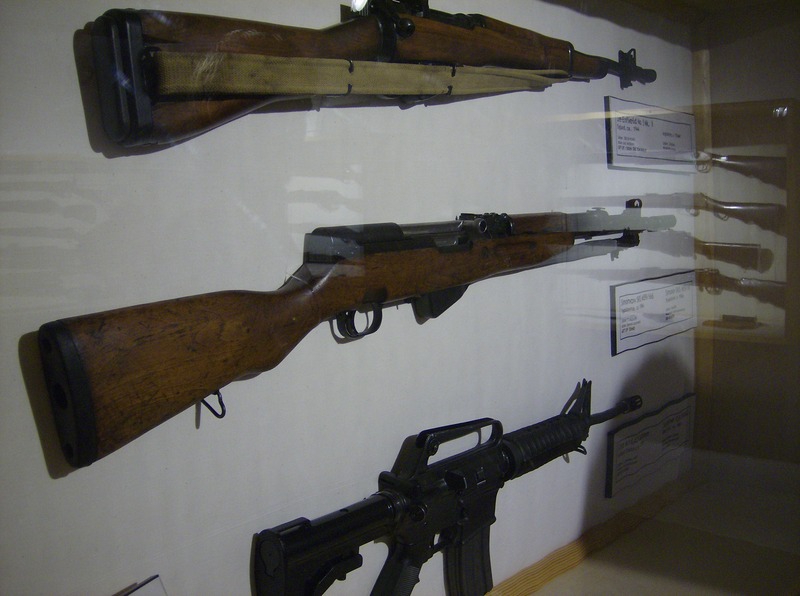 I will definitely be returning to the Base Borden Military Museum; the gun room is just too cool to stay away from for long. And what a great addition it is to the museum! 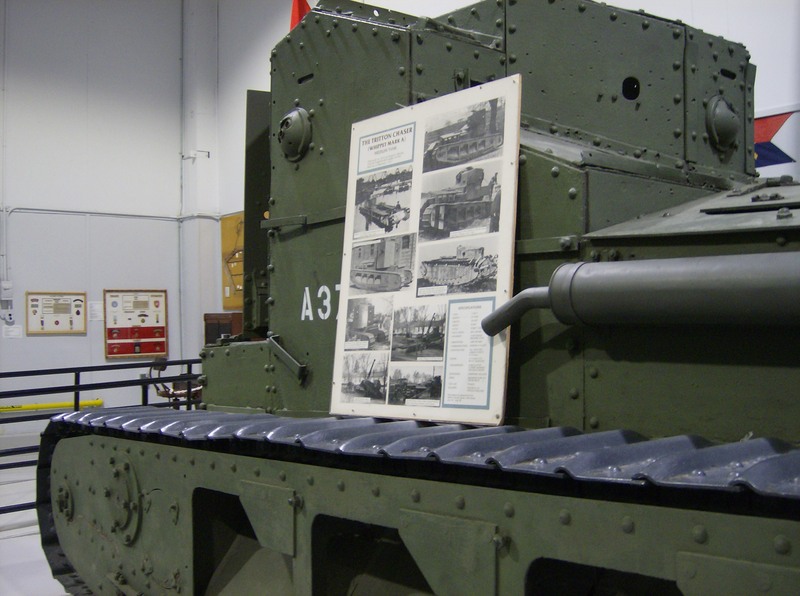 Lots of museums have tanks and halftracks, but seeing the instruments that ordinary infantrymen from all eras and countries used adds an extra element of depth and interest. The Borden Museum was unexpectedly good, and it deserves a great deal of praise! 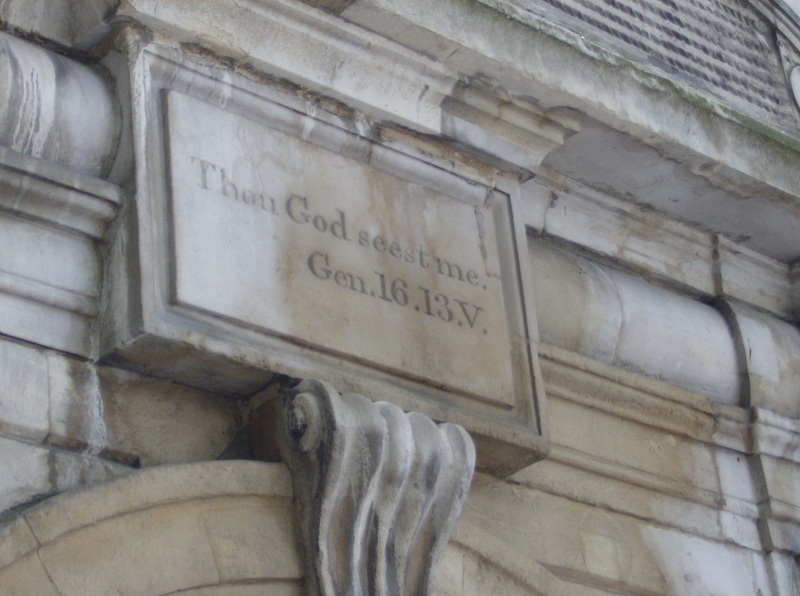 As the heart of historical London, the one square mile designated as the City has a staggering amount of history. 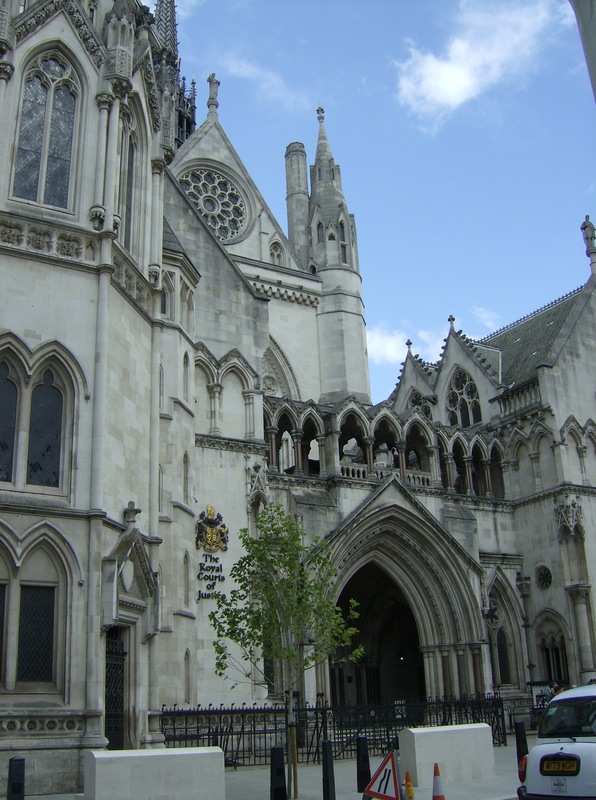 Over hundreds of years it’s been frequented by figures such as members of the Knights Templar, Sir Christopher Wren, and Samuel Pepys, as well as hundreds of ubiquitous white-wigged barristers. Today, it remains one of London’s busiest and most distinctive areas. It was indeed very busy when I was last there- it was a Friday afternoon before a bank holiday weekend, and everyone seemed to have descended on the Fleet Street area. 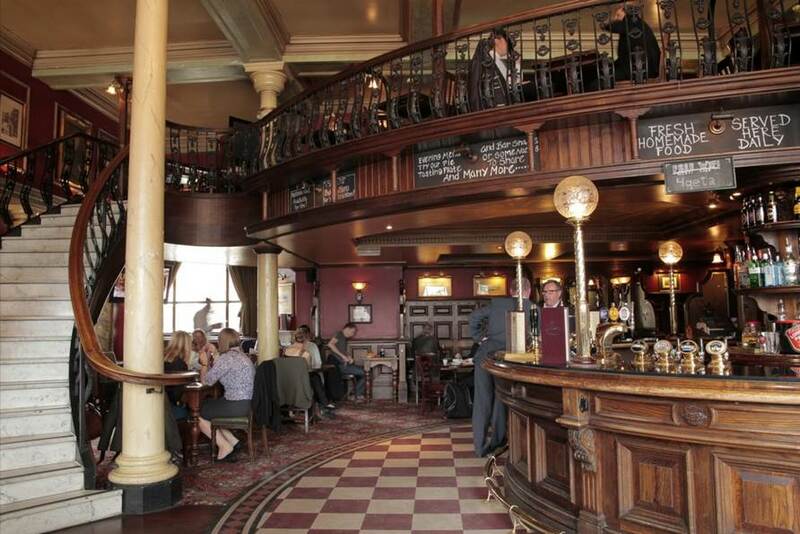 Instead of working, however, most people appeared to be running errands or enjoying themselves; and the numerous historic Fleet Street pubs were all crammed with merry patrons! My dad and I soon joined their ranks (snagging a pub’s final table! ), and had a fantastic lunch at The Old Bell Tavern. Their fish and chips are wonderful, and when washed down with a pint of Guinness or Abbot Ale, there’s nothing more satisfying. 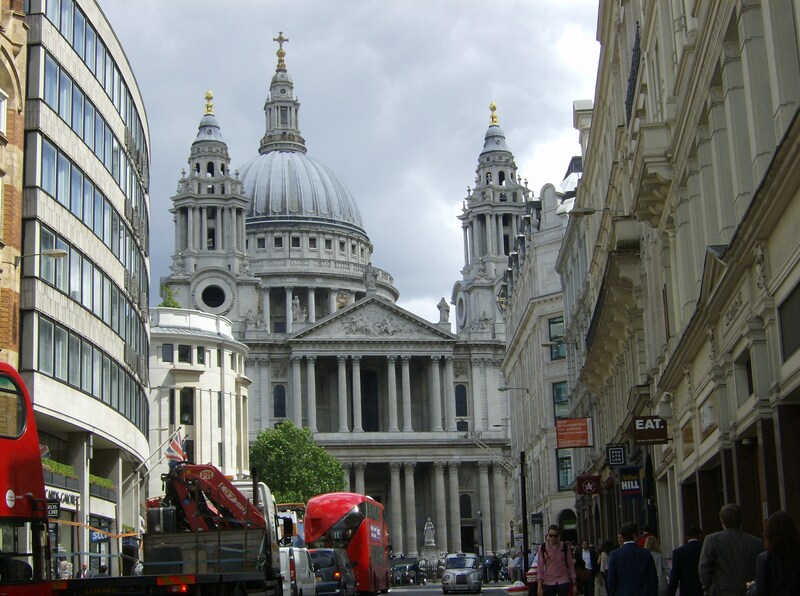 Once sufficiently nourished, we continued up Fleet Street towards the enormous columned facade of St. Paul’s. 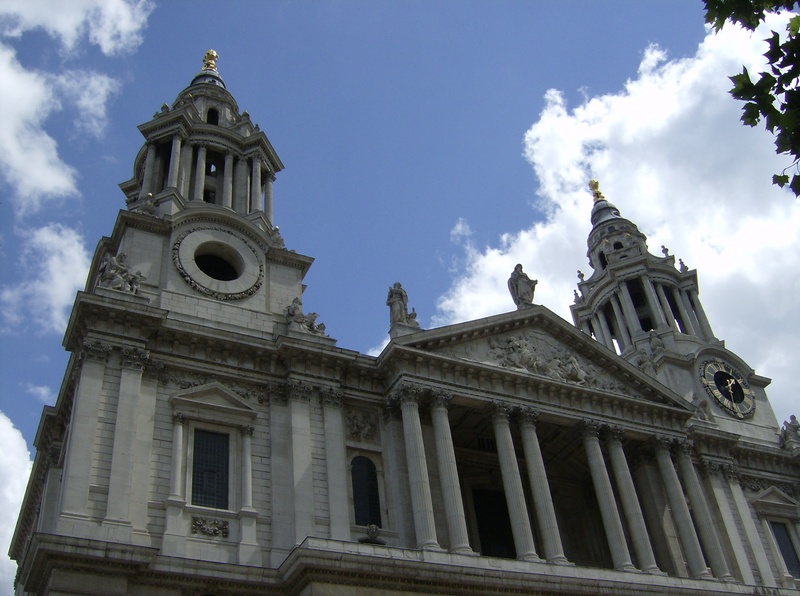 The Wren-designed Cathedral is such an icon of London, and it’s impressive every time I see it. 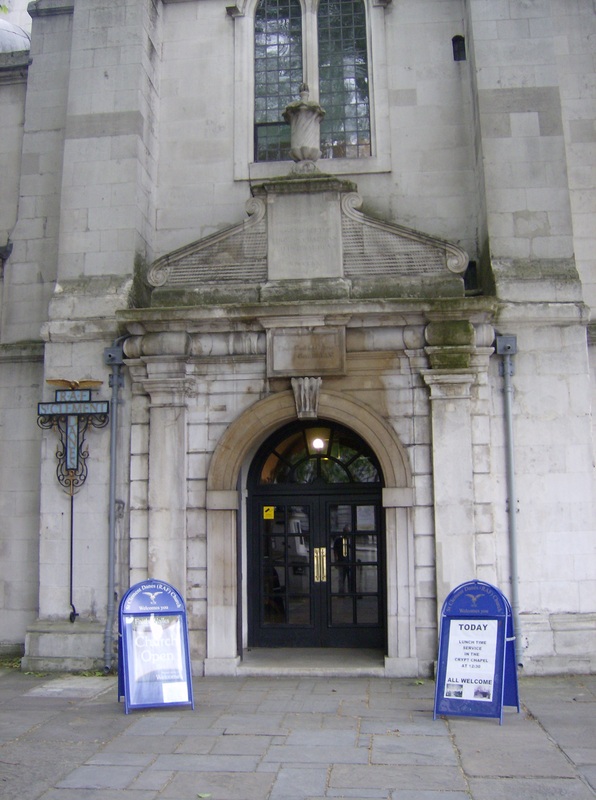 I’m rather delighted by the fact that my own humble church, although built in 1987 of underwhelming brown brick, is also called St. Paul’s! No wonder most of the City was starting its weekend early- it was such a pleasant day! It was sunny and mild, at least it was until we got within a block of the Thames. Then there was a biting wind quite unusual for June, but still nothing that a Starbucks cappuccino couldn’t remedy! We braved the wind, Starbucks in hand, as we crossed the Thames via London Bridge. 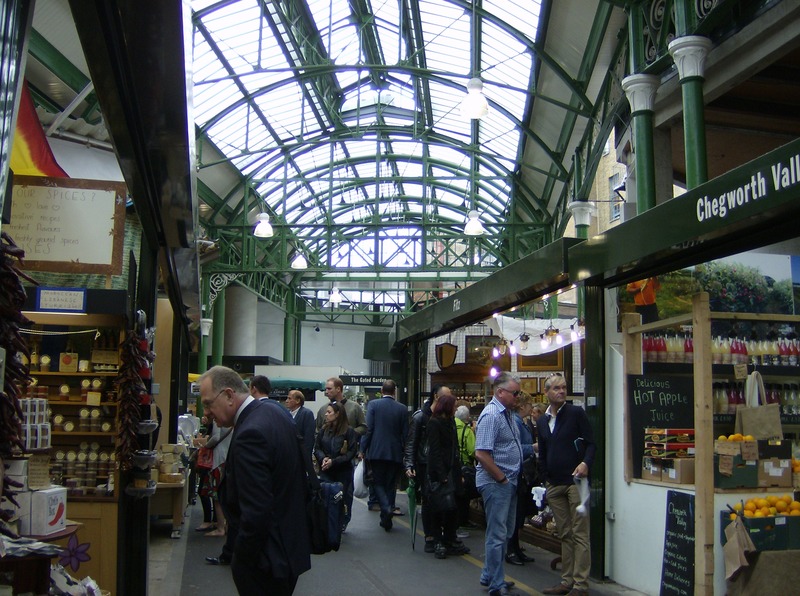 From there, we went to peruse Borough Market. Since we were staying in a kitchen-less hotel room, there wasn’t much point to buying any of the market’s remarkable wares, but simply looking was an experience in itself. There was such an array of goods; greengrocers selling vegetables I’d never even seen before, stalls with gorgeous cuts of English meats, and offers of all kinds of delicious-smelling meals and snacks. It was rather a shame we’d eaten so much fish and chips for lunch! I wish I lived in London so I could shop Borough Market for necessities every day! We couldn’t possibly eat anything more, so we left Borough Market sadly empty-handed. 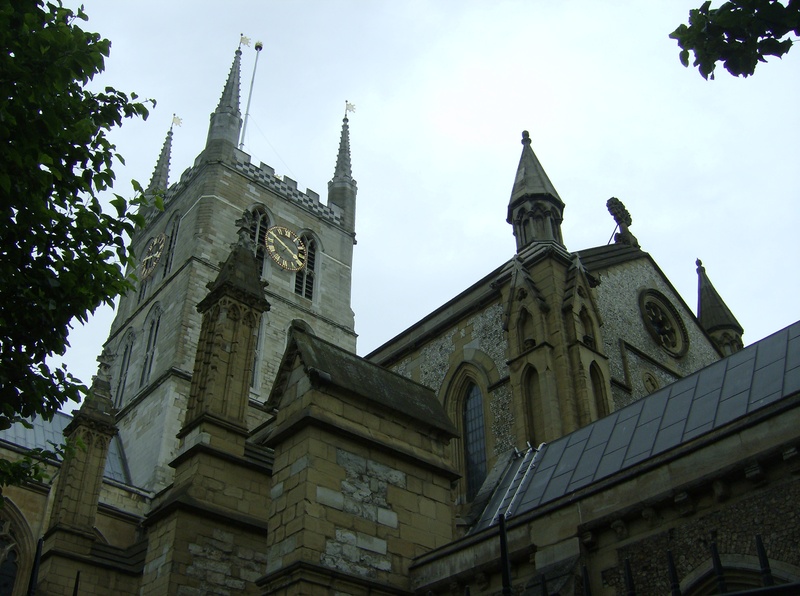 We passed the ancient Southwark Cathedral on our way back to the street, but had no time to stop. This church has such a long history and lovely architecture that I’d like to go back and visit it sometime. Next, we thought we’d maybe go back to the hotel and pack our bags in preparation for the next day’s departure- but it was only mid-afternoon and there was a pub within sight. How could we eschew the prospect of a pint? 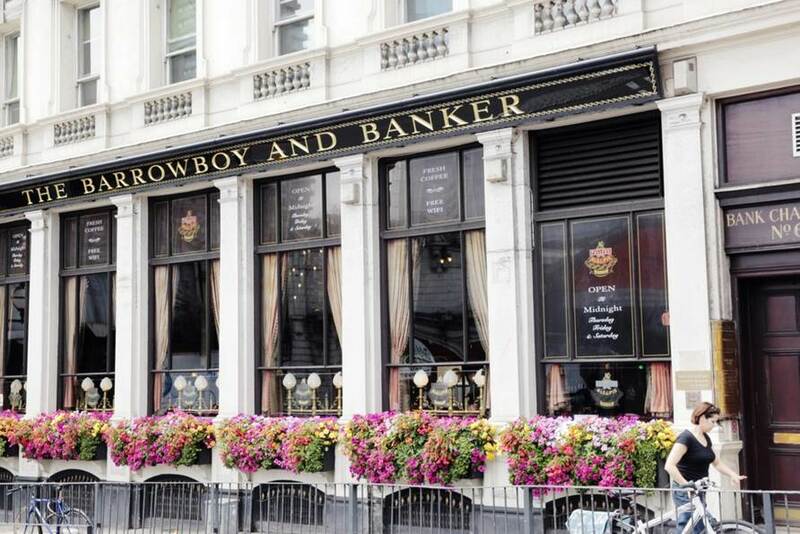 The pub was a Fuller’s Ale and Pie House called The Barrowboy & Banker, and it was packed! We shuffled our way to the bar- muttering many an “excuse me” and “sorry” on the way- and then enjoyed a pint each of good old Fuller’s London Pride. The atmosphere and experience were absolutely brilliant. The barman was amusing and friendly, and although we had to shout to be heard I’ve never felt more welcome or at home at any establishment! As I stood shoulder-to-shoulder with countless other patrons at the bar, I felt like I was a Brit and that I belong in British culture. My British heritage is of utmost importance to me, so that was a really special moment. That June day in the City was the most recent one I’ve spent in London, so I remember it often. And how wonderful it was! The City is more than just barristers and financial giants. It’s vibrant, welcoming, and historic; so much so that it rivals any other area of London one might mention! Although the near-intolerable cold and literal mountains of snow that winter brings offer many reasons to be miserable, there are also reasons to rejoice. Only in the depths of winter can one wear fur coats and thick, knitted sweaters without looking a little loopy. Simple pleasures like steaming cups of tea with a side of a mince tart, or sitting still beside the fire with one’s dog are best enjoyed in the winter. Winter can drag on at the best of times, but there’s plenty to sustain us even when all outdoor life seems to have died! Nothing exudes luxury and warmth more effortlessly than a fur coat. Quite conveniently, fur can also evoke a wonderful 1940s feel in any outfit! Indeed, when this fur coat is paired with a fine-knit emerald sweater dress, this look becomes ubiquitously ’40s. Sensible additions like the spacious Burberry handbag and chunky black boots follow the 1940s vein of practicality, which is perfect when today’s busy woman must also navigate snowy streets in sub-zero temperatures! Tortoiseshell sunglasses protect from the blinding glare of sun on snow, while red Bobbi Brown nail polish adds a lively contrast to the emerald dress. The timelessly-stylish scarf draws out the green of the dress, and its graphic pattern (so different from the rather delicate gold and pearl jewellery) adds interest. This look demonstrates how stylish and functional vintage style can be; it’s an outfit all set for snow! Coming Soon: My Debut Novel! December 2011 to July 2012 was a special time for me- it was then that I wrote my first full-length novel. In the many long months since then, I’ve continued to write and edit and study, all with the intention of publishing this novel and officially beginning my career as a writer. It has been a convoluted and arduous process, but the time is now near! Exactly two weeks from today, on December 5, my novel will be published! A quiet student, Galina Kazimirova has always loved books and art; and she takes great pleasure in her plan to devote her life to studying these subjects. But it is mid-1941, and German invaders are quickly advancing into Galya’s homeland. 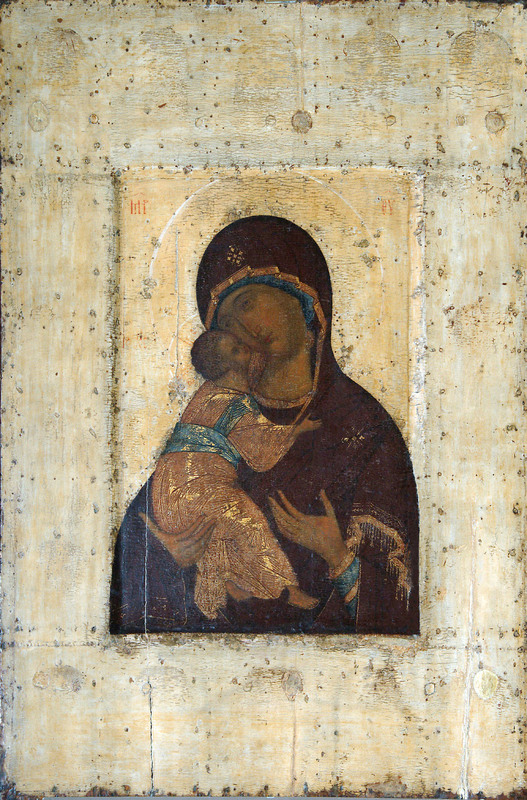 They threaten not only the entire Soviet population, but also objects of historic value- specifically, a priceless icon of the Russian Orthodox Church. To her surprise, Galya is commissioned to retrieve the icon and return it to the safety of Moscow. Will she prevail, or will she be beaten to the icon by the hardened German commander who seeks it for himself? Amidst the terror and chaos of the Eastern Front- far from the peaceful, familiar halls of her university- Galya must find great selflessness and courage; and accept whatever sacrifices are necessary in her mission. Those of you familiar with my blog will already know of my fascination with the Eastern Front, so you probably won’t be surprised that my novel deals with the same! You can expect historical accuracy coupled with suspense and excitement from A Calling Above Oneself; as well as an honest account of the effects of war and sacrifice. The book is appropriate for anyone 12 years old or over (after all, this is a novel about war), and will be especially enjoyed by those interested in military history or WWII. I am so excited to share this story with the world, even though such blatant self-promotion feels very unnatural to me! A Calling Above Oneself will be available as an e-book from Kobo; however, you don’t need an e-reader to purchase and read it! Anyone with a computer, tablet, or smartphone will be able to enjoy it after downloading a free Kobo reading app! Once my book has been launched, I’ll add links to where it can be purchased to my official Facebook page as well as this blog. I am absolutely thrilled to now be so close to making A Calling Above Oneself public! As I said, publishing it has not been the easiest or quickest thing I’ve ever undertaken, but it will be amazing once it is out there and available to all who are interested. I wouldn’t say I have exceptionally high hopes- I doubt I’ll become a millionaire thanks to this book, as much as I’d like that- but I take pride in this novel, its characters, and its message. I hope that you will consider taking a look at it, if you’re interested! Finally, I’d like to thank each and every one of Keep Calm and Remember’s 151 followers. I started this blog back in February as a means of getting people interested in my writing, but it’s become so much more than that. I sincerely love sharing stories of the past and of my own life and ideas with you, and it both baffles and delights me that you seem to appreciate it! Both my blog and my novel are based on my desire to raise awareness of the Eastern Front, and to encourage the respect of veterans and past sacrifices. Because those sacrifices are so great, I don’t think I can ever stop writing. I mean to continue Keep Calm and Remember active for years yet, and A Calling Above Oneself is the first of many novels you can expect from me in the future! On a beautiful, bright day in early June this year, my dad and I went for a walk round the City of London. 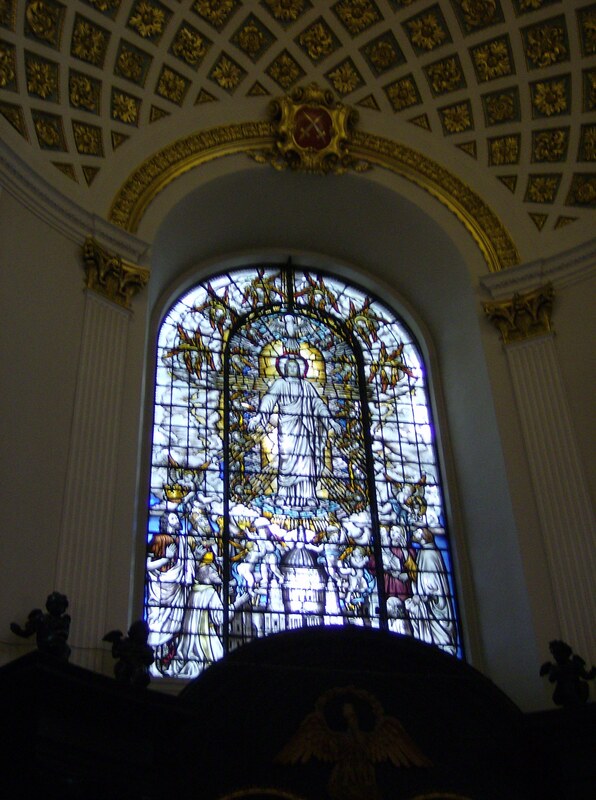 Actually, our destination was a specific pub for lunch- but, though we were hungry, we couldn’t help but stop when we came across the church of St Clement Danes. 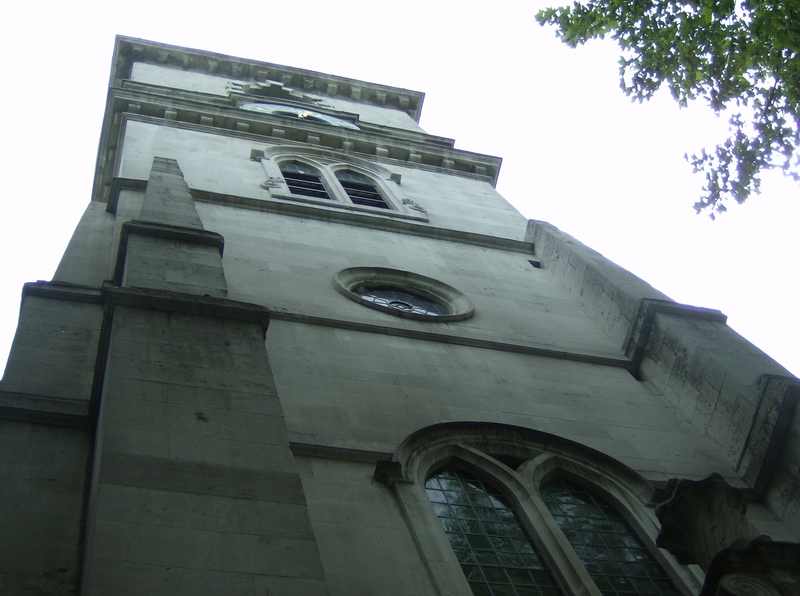 Although I knew the song “Oranges and Lemons”, which speaks of St Clement’s, and I’d been to the Strand/Fleet Street area before, I was totally oblivious to the church’s existence there. 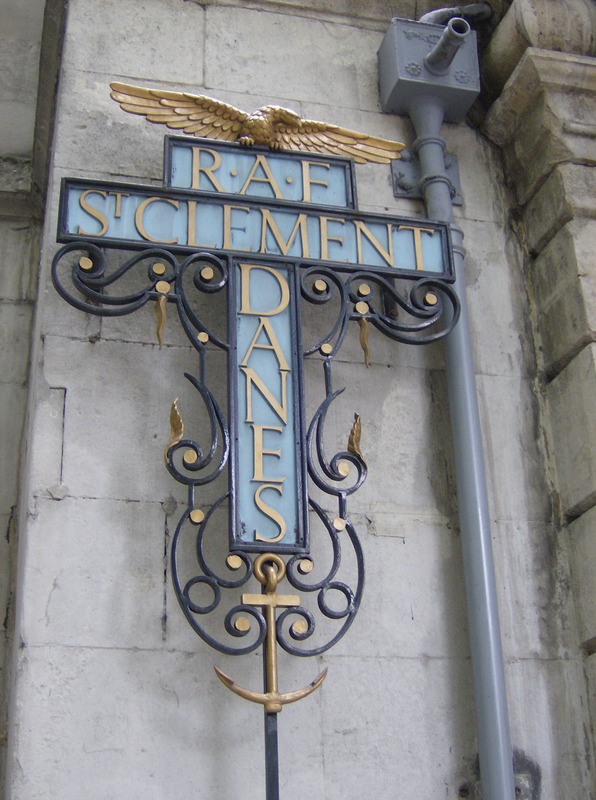 I also had no idea of St Clement’s association with the RAF. Crossing the street in front of St Clement’s, I thought that we were simply approaching another pleasant-looking church- there are a lot of old churches in London! 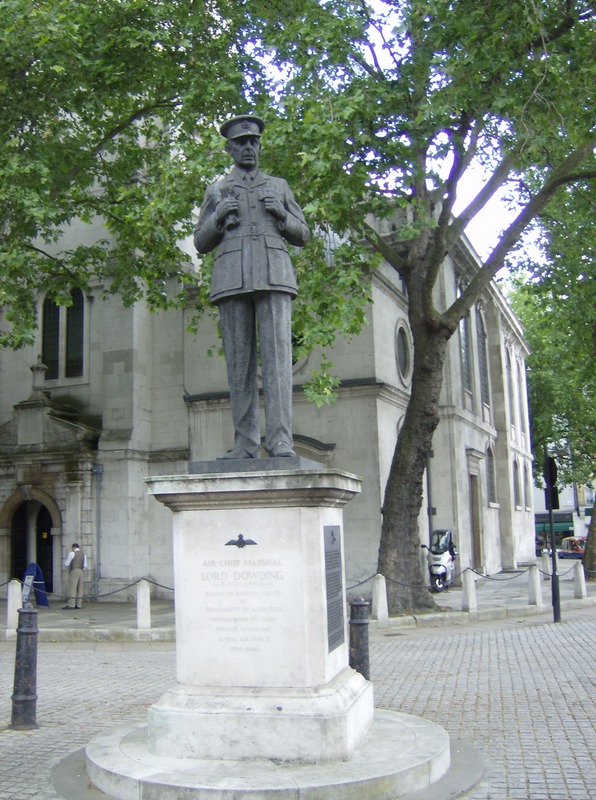 The first thing that indicated the contrary was a prominent statue of Air Chief Marshal Hugh Dowding. Dowding was an instrumental force in RAF Fighter Command during the Battle of Britain, contributing much to the defence of Britain. This statue made me take a closer look at the church, which turned out to be the central church of the RAF! 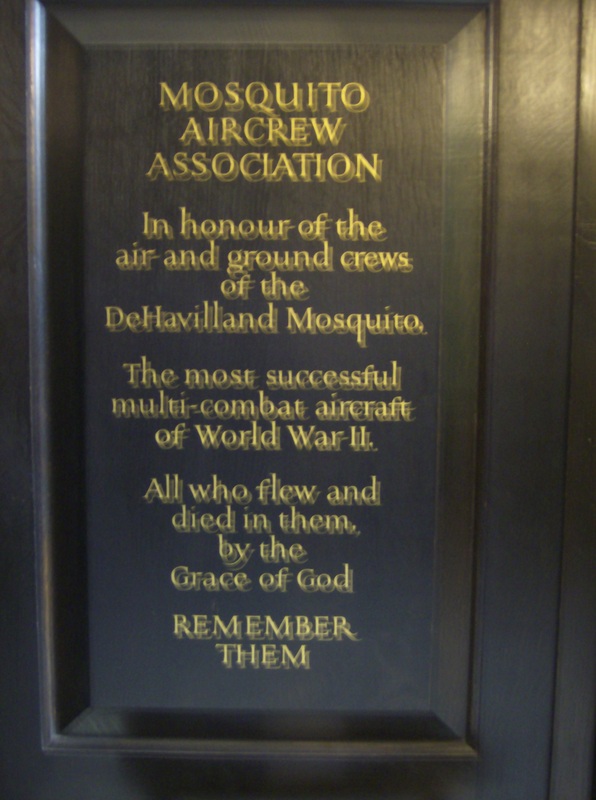 This was a delightful revelation to me, since I love old buildings, churches, and the RAF! We went into the church, which was nearly empty. Inside the door were shelves full of RAF publications; newspapers and brochures and the like, and all complimentary. I took several, but couldn’t be distracted for long from the magnificent sanctuary. It was breathtaking, and had such a tranquil and dignified feeling to it. 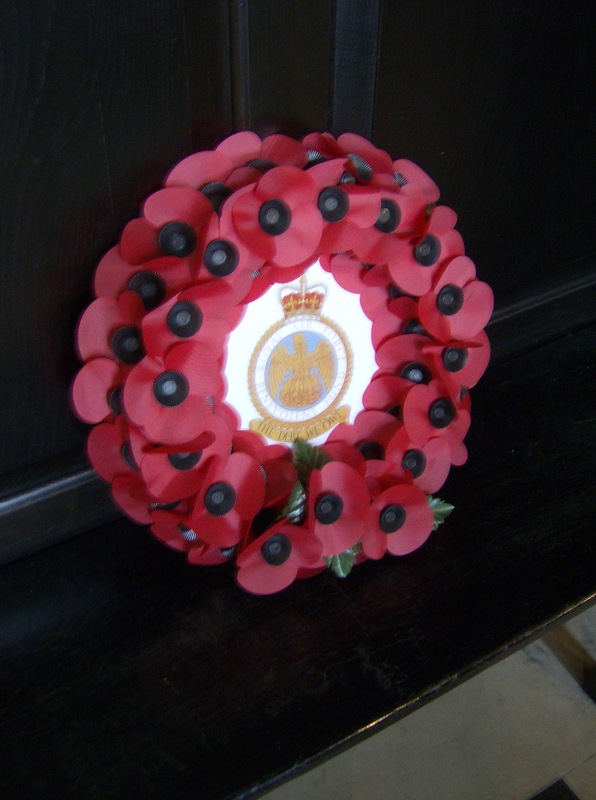 RAF touches and demonstrations of remembrance were everywhere, which was moving. 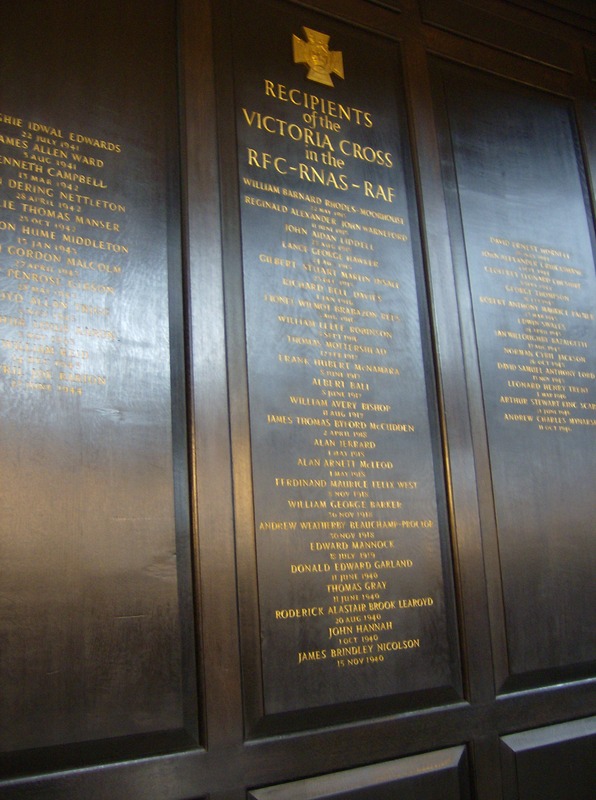 The floor was embellished with RAF plaques, and there were flags hung round the whole sanctuary. It was a fitting combination of both Christian and military reverence. 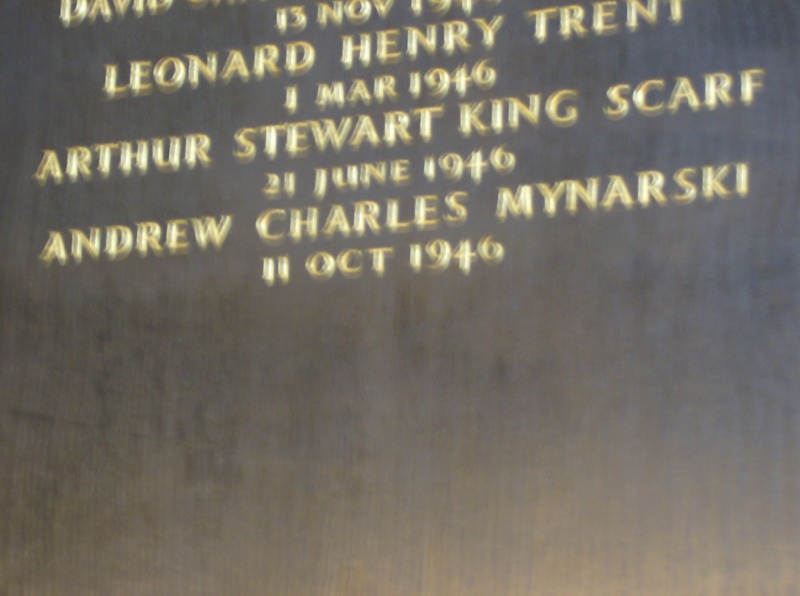 There were also numerous memorial inscriptions on the walls or pews; and although June is far from Remembrance/Armistice Day, wreaths of poppies were often placed beneath these inscriptions. This peaceful church was the perfect place to pause for awhile, far removed from the everlasting busyness of Fleet Street and the Strand. I think it’s a very special place, because it is not only God’s house but it’s also a place of remembrance. 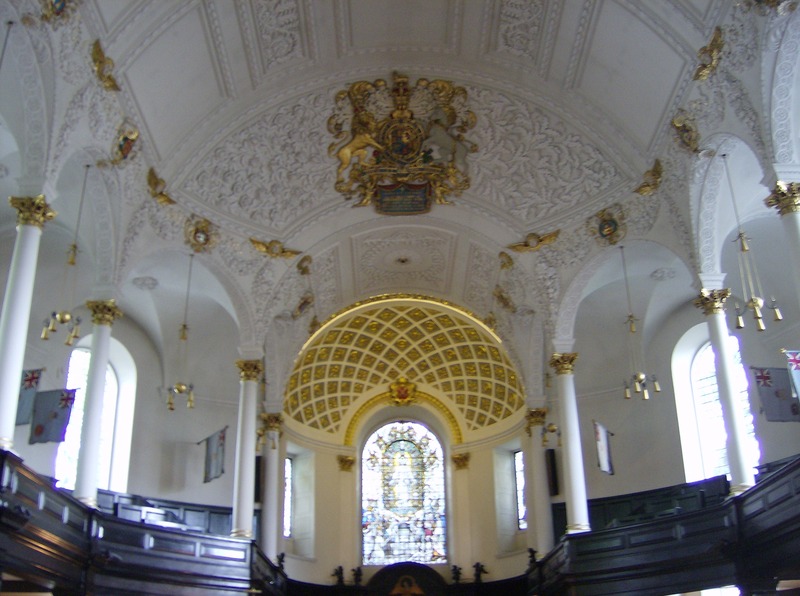 St Clement Danes must be one of London’s most unusual churches, and I know that I won’t pass up the opportunity of visiting it again! I’ve been fortunate enough to have visited military museums in three different countries in my lifetime; visits which were both educational and incredibly fun. 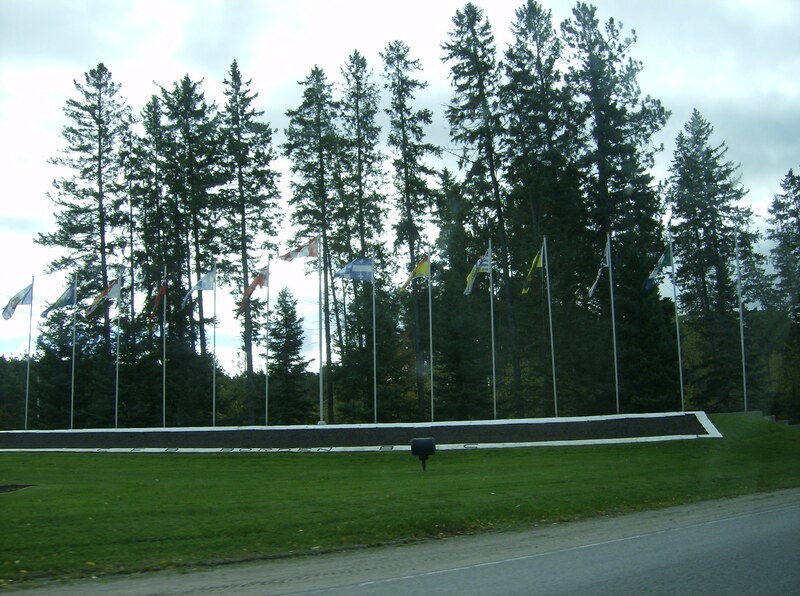 But I don’t have to travel any kind of distance at all to find a good military museum- there’s one only half an hour from my house, located in the grounds of Canadian Forces Base Borden! 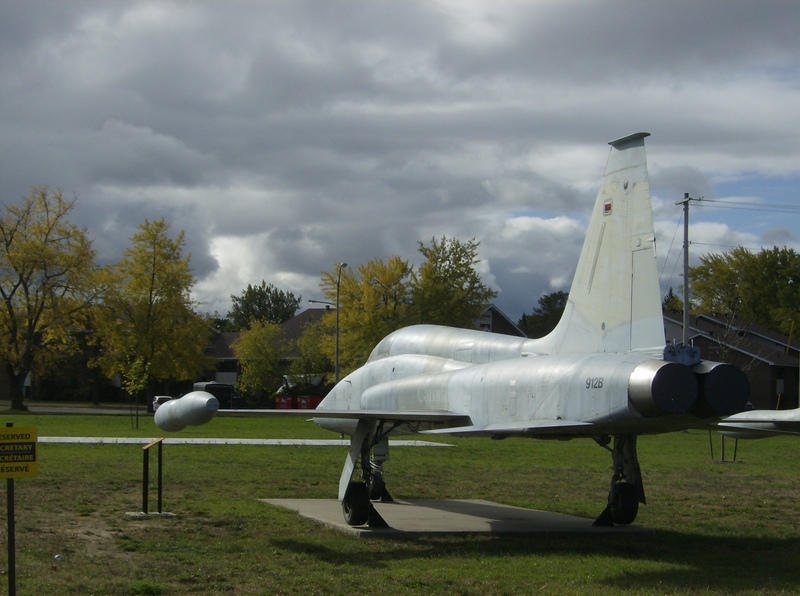 CFB Borden used to have two runways and served as a major training base for the RCAF; nowadays, it is home to the usually-biannual Borden Air Show. 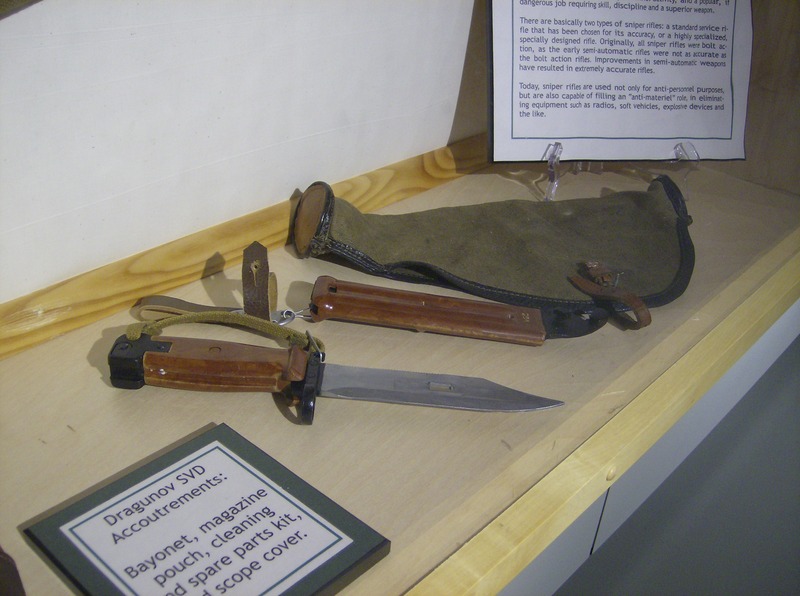 Sometimes CH-146 Griffin helicopters fly into the base, but today most of Borden’s activity is found on its rifle ranges and infantry training courses, or in its many buildings. Although the base is much quieter now than it used to be in the Second World War or Cold War, it’s still a fascinating place. 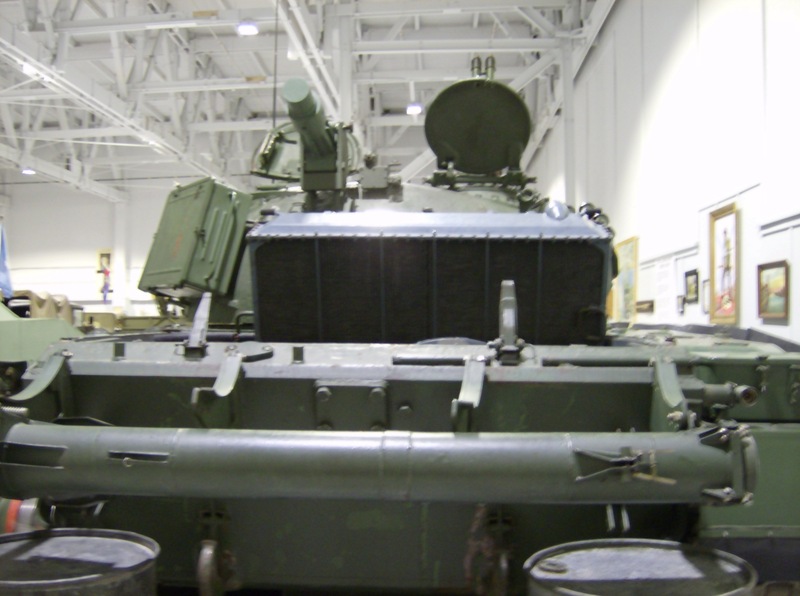 Military equipment (like a Sherman flail tank, CF-101 Voodoo, and Soviet T-72 tank, to name a few examples) is scattered around the base, and the Base Borden Military Museum is an unassuming yet wonderful attraction. I was there this past September, and was pleasantly surprised by the newly-expanded museum! The museum is housed in an expansive new hangar-type building; half of which contains vehicles and military firearms, with the other half containing collections of militaria, a CT-114 Tutor cockpit, a CF-5, and a huge array of aircraft scale models. I was very surprised at the wide range of artifacts and vehicles at the museum. 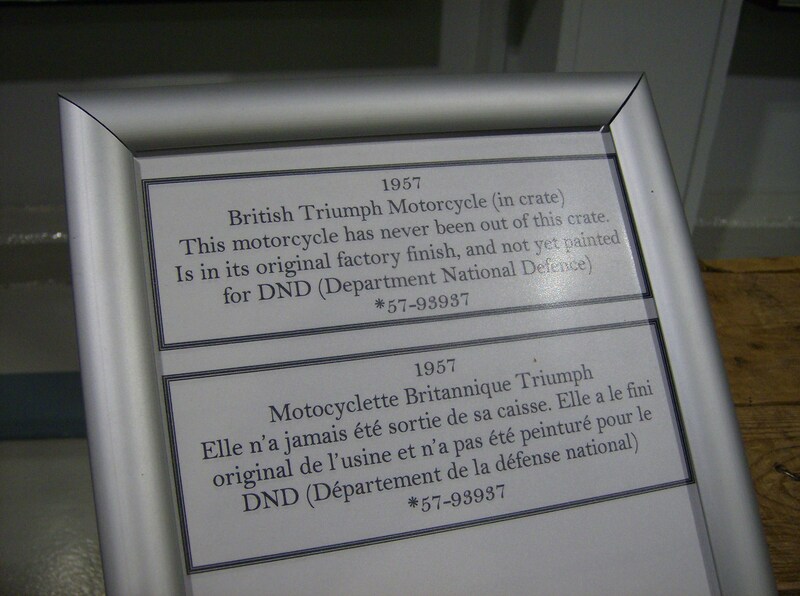 It was awesome to see unusual objects like a boxed Triumph motorcycle and inert shells from WWI- these things made the Borden museum memorable and unique. It wasn’t just tank after tank like some museums are! 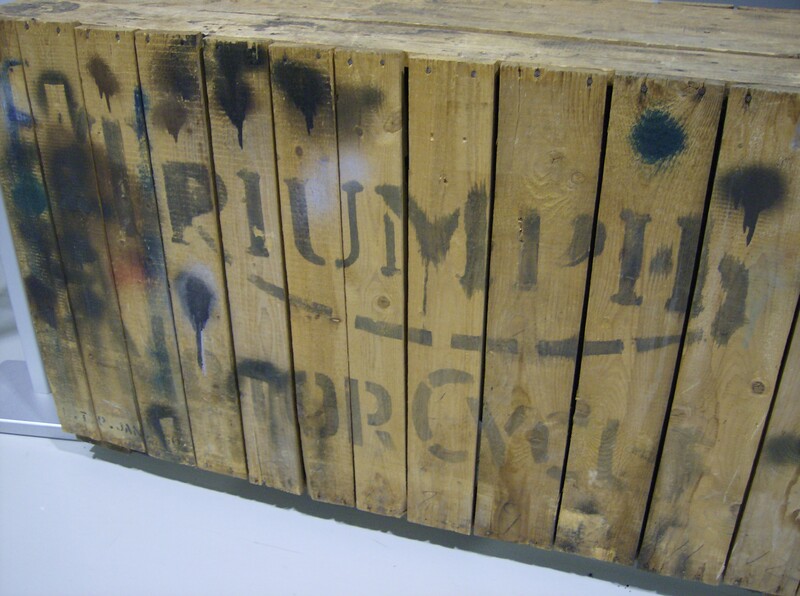 …which, as detailed here, has never left the crate in almost sixty years! 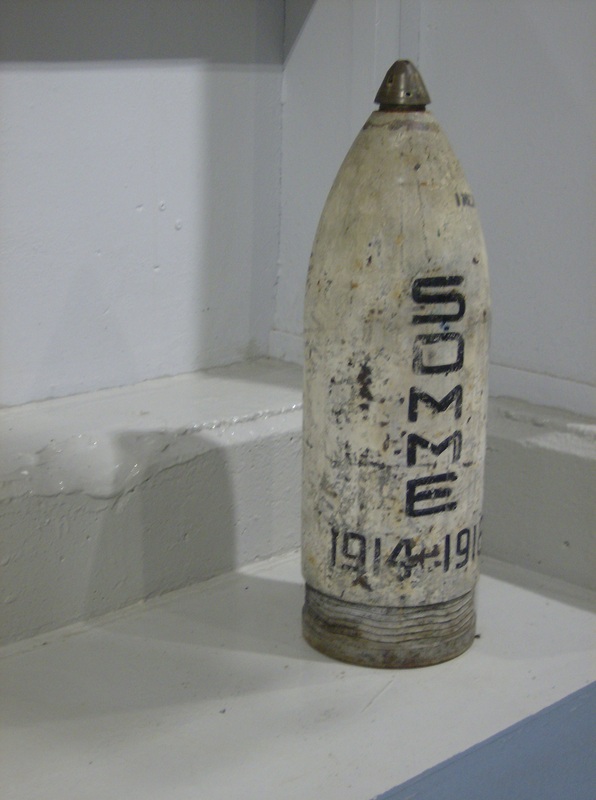 I was especially interested to see a shell marked “SOMME 1914-1918”. 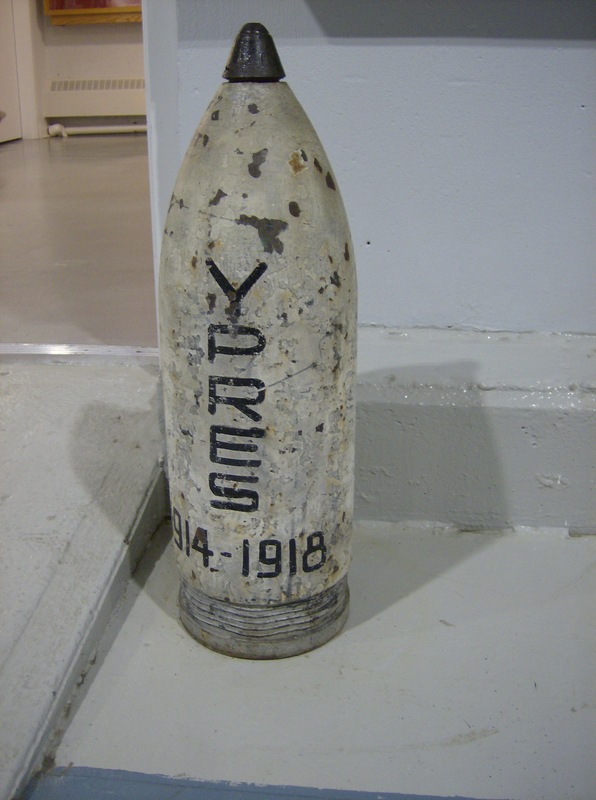 A Welsh ancestor of mine named Billy Jones was killed at the Somme, and it sobered me to think that he experienced enormous shells like those falling from the sky before he died. 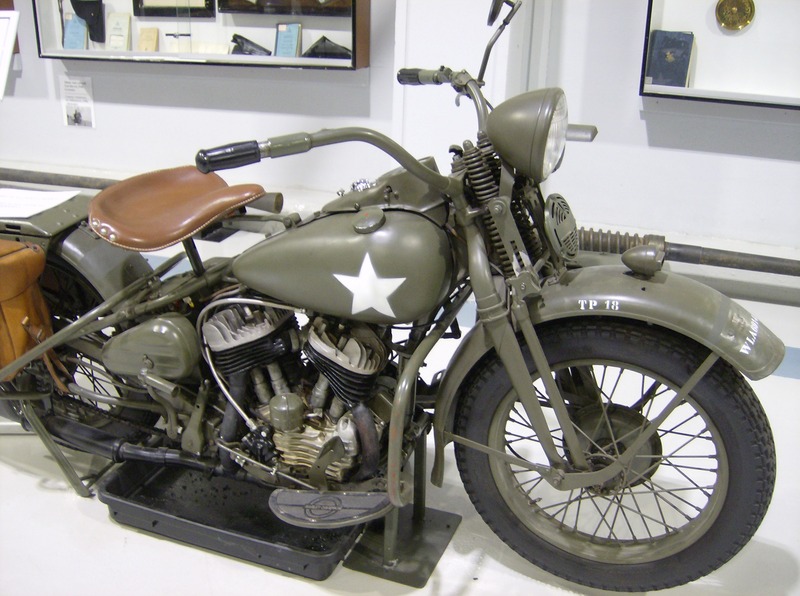 The vehicles displayed at the museum were also diverse and interesting. They were from not only WWII but also WWI, and later conflicts too. 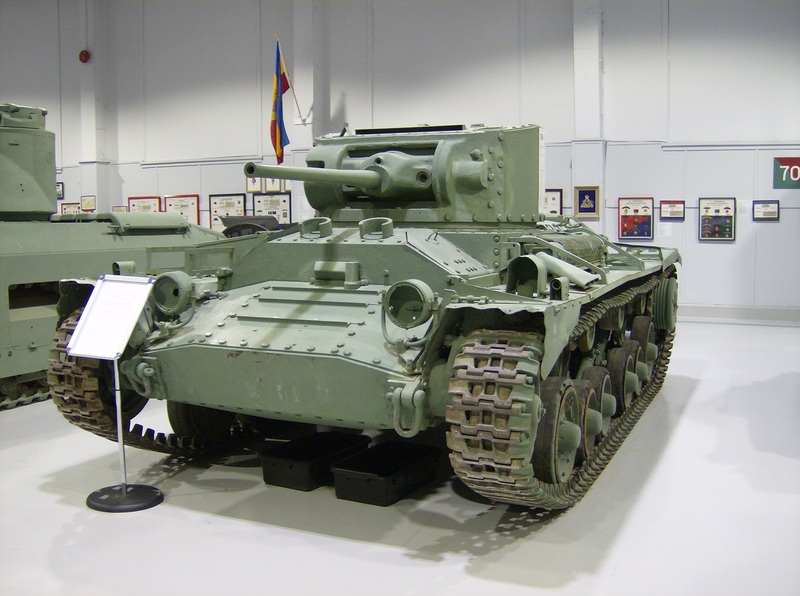 And they were from many different countries- for example, there was an American copy of the 2-man Renault FT tank from 1917, alongside a German gun and a British Valentine tank. 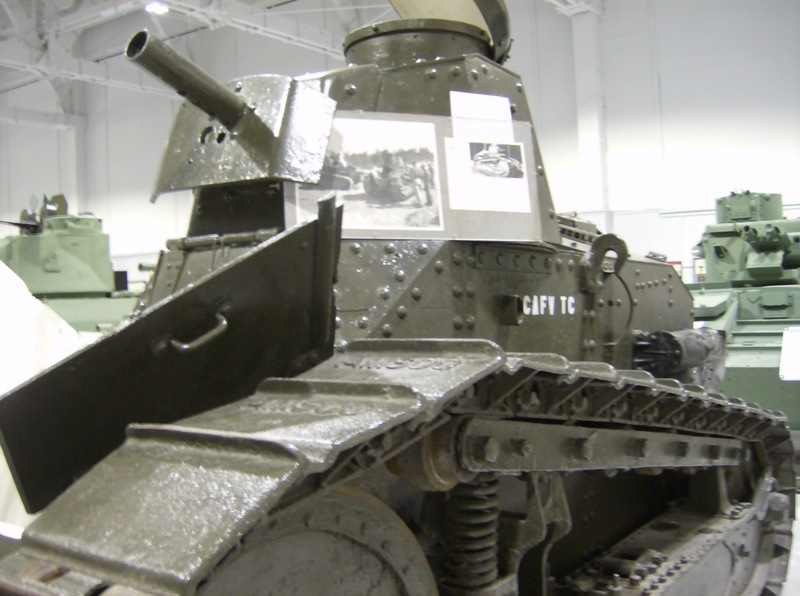 This M1917 is absolutely tiny, despite the fact that it’s a tank! 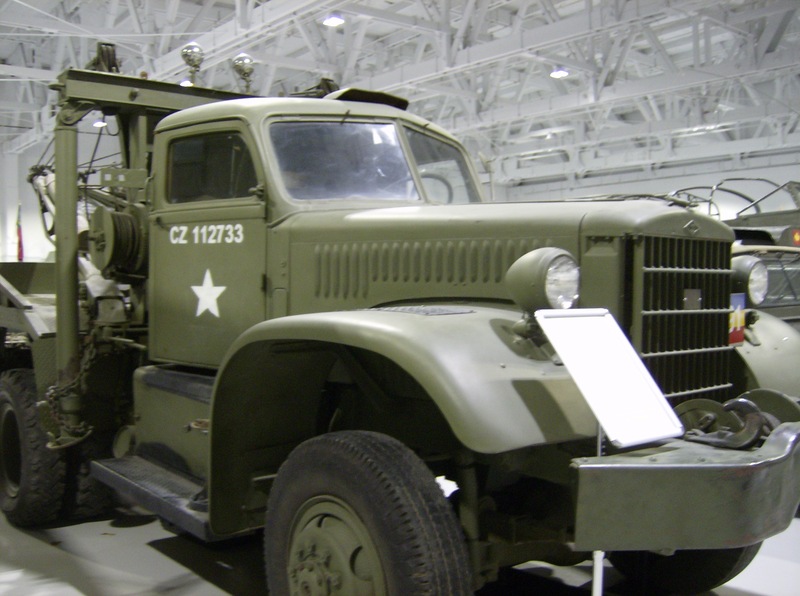 All of the museum’s vehicles were easily accessible to visitors, and one could walk among them as desired. 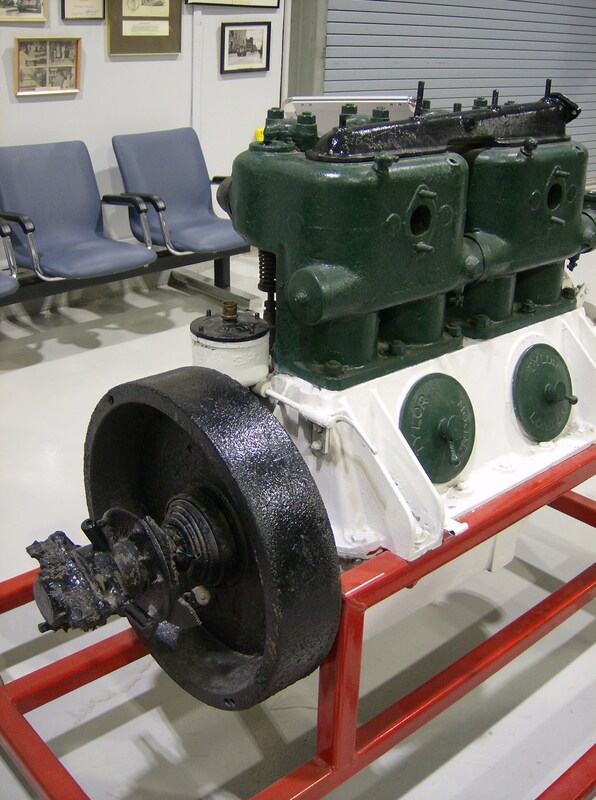 Another great feature was that many of the vehicles’ engines were removed and displayed close by, so visitors could get a better idea of a given vehicle’s powerplant. 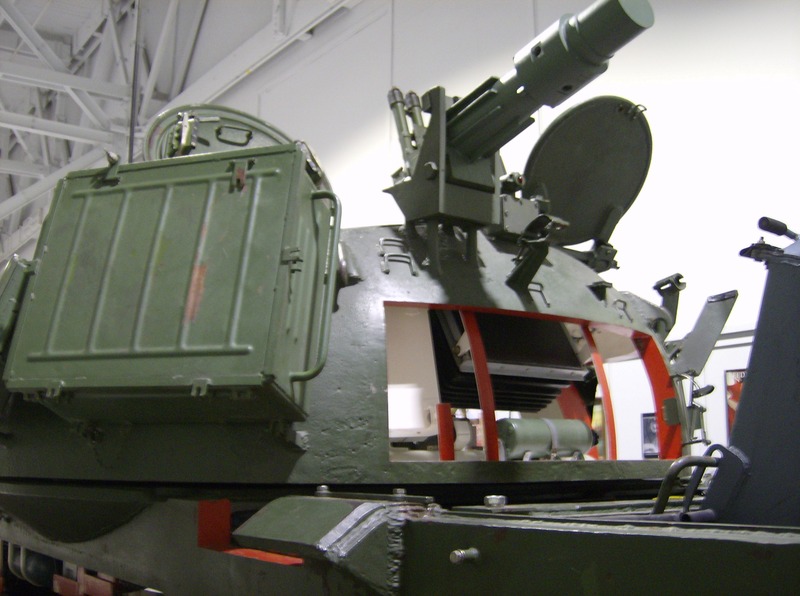 Several vehicles also had cutaway sections or open hatches, which made it easy to see the fighting compartment inside. 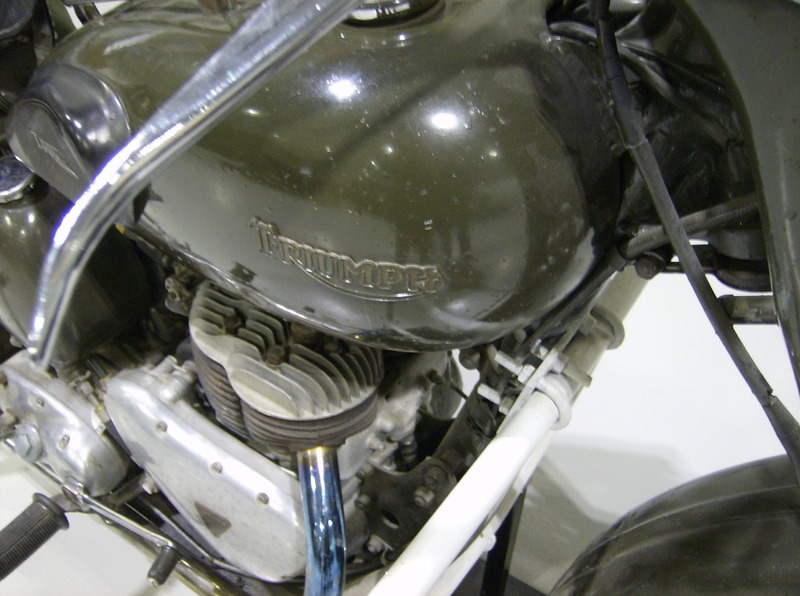 …however, it only had two 45-horsepower engines!! The highlight of the vehicle section was undoubtedly a Soviet T-55 tank! I was certainly not expecting to see something like that at a humble local museum! 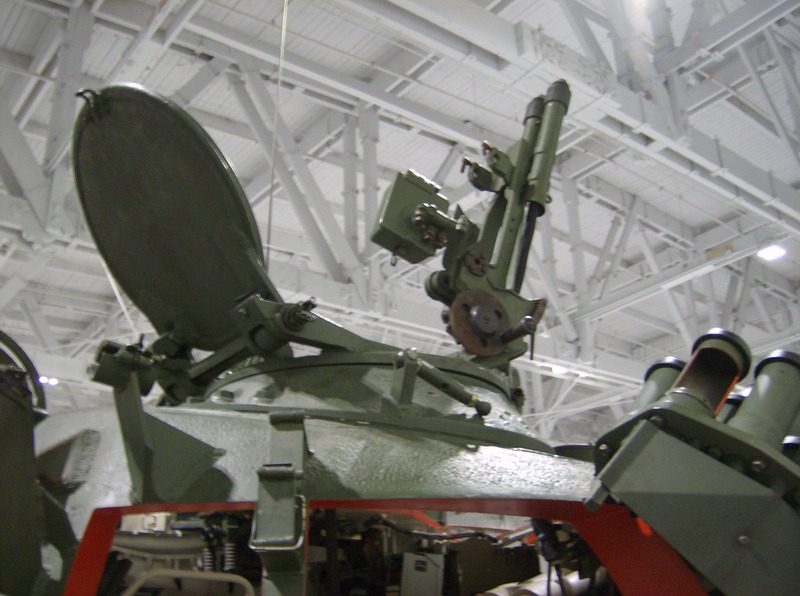 The T-55 had cutaway sections in the turret and side, which showed the characteristically cramped conditions inside. 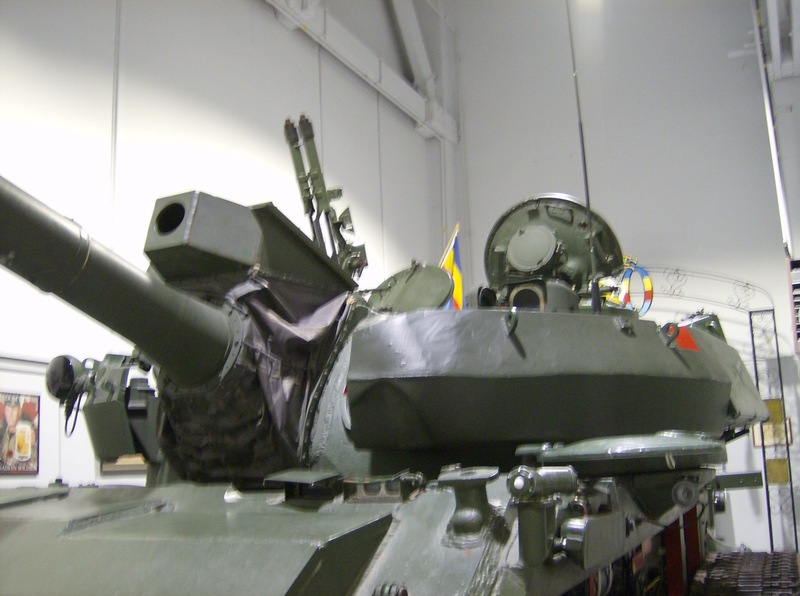 It seems that Soviet tanks weren’t made for space! The vehicle hall was full of surprises and amazing sights, and it really only got better! My next stop was the firearms room, which was another unexpected feature- but you’ll have to wait for Part Two for that! I’m so pleased that such a fantastic and extensive museum is right on my doorstep, and I can’t wait to visit Borden again. Believe it or not, the holiday party season is upon us. I’m caught off guard every single year when, in early November, I hear of upcoming Christmas parties at my parents’ workplaces. The announcement of these parties is always what draws me into the Christmas season. Funnily enough, I’ve never actually been to a Christmas party myself- back when I had a normal job, hockey always seemed to get in the way- but were I to attend a party, I would love to wear the following. In my view, it’s hard to be overdressed, so I spared no luxury for this outfit. The world is not only a stage, it’s also a runway! This look uses classic 1940s staples like a fur coat and flattering, fitted dress to create a wonderful vintage vibe that is also very dressy for the modern world. An exquisitely-detailed clutch adds pattern and appeals to today’s taste for bold, graphic accessories. Sensible green pumps are demure enough to agree with the ’40s theme, and they also draw out the emerald tones of the jewellery. Red lipstick and nail polish give this outfit a final dash of period style and ensure that the wearer will be timelessly fashionable. Although it includes the customary “little black dress”, there’s nothing ordinary about this party outfit; and it would surely be the talk of many Christmas parties to come.